With our state of the art Link-Belt crane we can lift any equipment or object you have. 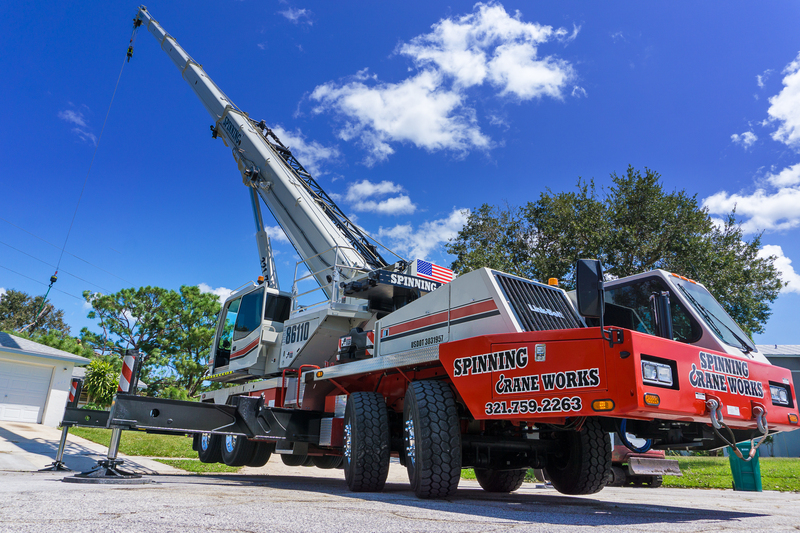 Spinning Crane Works has the ability to lift over 100 ton loads up to 300 ft. in the air. Anything you have, we'll lift it and move it where ever you need. We can hoist any HVAC equipment you have and set into place on a rooftop or where ever you need. We make sure your HVAC equipment is safe and secure the entire time from rigging to final placement. Contact us for all your HVAC lifting needs. 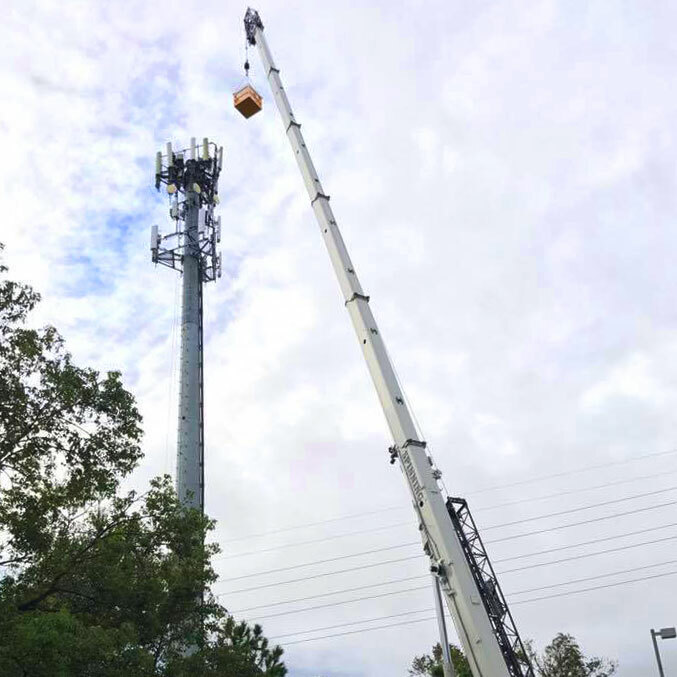 We have the capability to lift any cell towers of power poles you need erected. We have extensive experience working around power lines and can ensure your load is erected safe and secure without worry. Contact us for all your cell tower and power poll lifting needs.